Days/Hours: 7 days per week, 10 a.m. – 6 p.m. 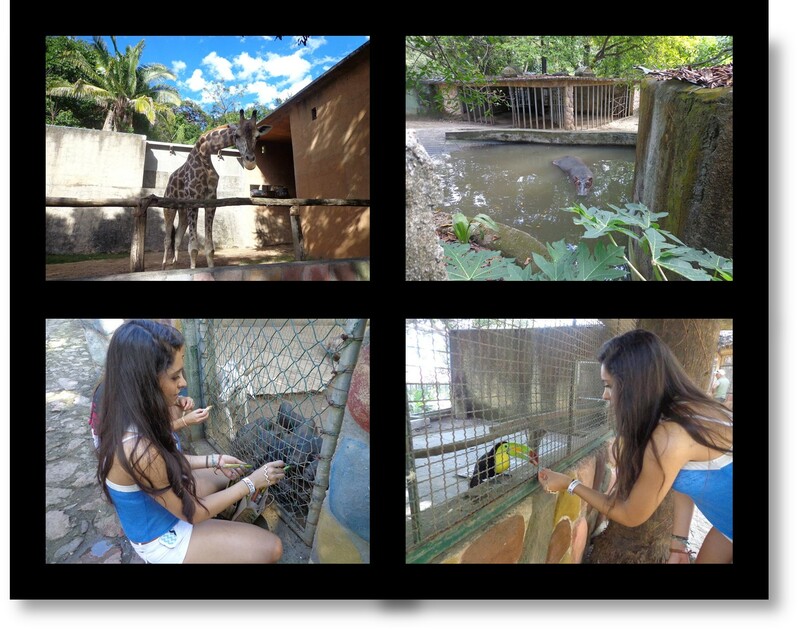 The Vallarta Zoo is not like any other zoo you’ve ever experienced. At this zoo you can buy bags of foods (carrots, breadsticks, seeds, etc.) and feed the animals.Mammals at the zoo include a hippo, tigers, lions, jaguar, leopards, cougars, ocelot, grey fox, jackal, white-tailed deer, collared pecari, yaguarundi, margay, hog-nosed skunk, pigs, river otter, hooded skunk, long-tailed weasel, spotted skunk, ringtail, coati, racoon, a wide variety of different bats, armadillo, cottontail rabbits, opossum, pocket gophers, rats and squirrels. Reptiles include crocodiles, tortoise, black iguana, green iguana, turtles, boa constrictor, rainbow boa, ratsnakes, Mexican snakes, ball python, as well as a large variety of other snakes. Birds include a wide variety of ducks, humming birds, heron, egret, pigeon, doves, roadrunner, cuckoo, plover, gulls, hawks, falcon, ostrich, finch, warbler, and a whole host of other colorful birds. The Vallarta Zoo offers an opportunity to hold and play with baby tigers and/or lions and/or jaguars depending on which animals have recently been born. This zoo is a huge breeder of large cats for zoos all over the globe, so there are always births taking place year round and baby animals available to hold and interact with. Take an orange & white bus that departs from downtown Puerto Vallarta at the intersection of Basilio Badillo and Constitution (by the OXXO convenience store). The bus fare is $7.5 pesos (2014). The bus stop that leads to the Zoológico de Vallarta stops along the highway at the entrance to the Hotel Barcelo. Cross the street and follow the road closest to the river for 800 meters and then you have arrived.